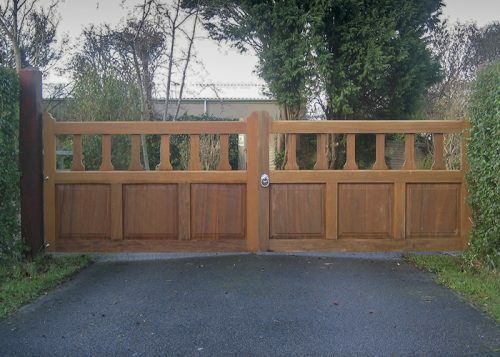 A traditional driveway entrance gate with concave single bowed top rail on each leaf with styled pales. 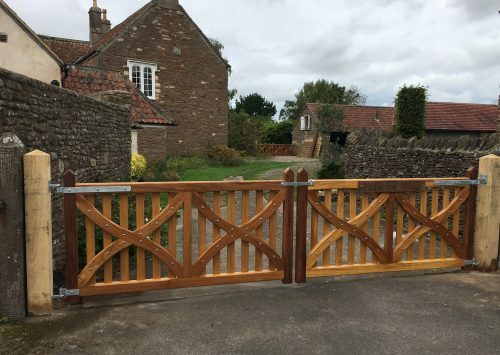 Ideal for driveways as a pair or as a single garden gate. 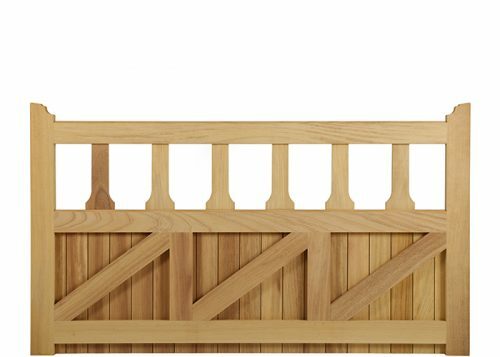 The Mells is a traditional driveway entrance gate with concave single bowed top rail on each leaf with styled pales. 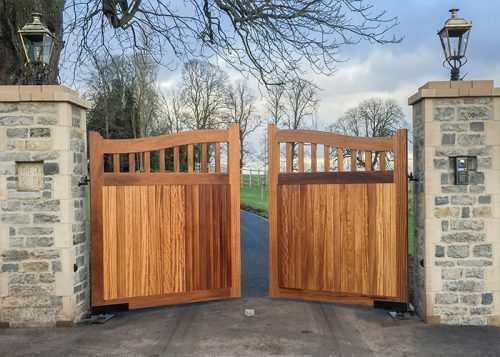 Ideal for driveways as a pair or as a single garden gate. 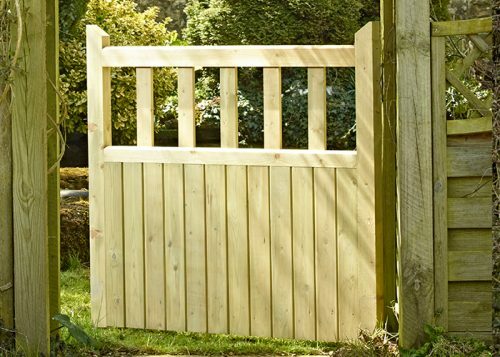 The style of this gatealso offers security for small children and pets. Tongue & groove match boarding. Mortice & tenon construction. Water runoff features and a planed smooth finish.